Architect 3.0 User Extensions, Sencha Space, ECMAScript 6, Sencha Desktop Packager 1.2, Tutorials and Tips & Tricks, and more in the latest Sencha News! In this article, we’ll discuss some specific technical challenges that we overcame during the development of the Sencha Architect 3 User Extensions feature. The major new features we introduced in the preview are: Application Templates, User Extensions, and Theming Support. Games are rarely seen as mission critical applications, but there are aspects of building a game app that can be applied to even the most data-centric, corporate application. In this article, Steve will share 5 key things his team learned that you can apply in your business application development. Offline support was never a requirement in the world of desktops, but with the rise of the mobile web and edge connections, support for offline capability has exploded. Everything from offline data storage to the actual application startup is already available and supported on a wide range of mobile platforms. Read on to find out what tools what tools are at your disposal and how you can leverage Sencha Touch to use those tools with ease. In this video, Sencha Developer Evangelist, Greg Rewis introduces you to Sencha Space and the APIs which enable HTML5 web applications to run in a secure, managed environment. Greg discusses the Sencha Space SDK’s device-level options for secure data storage, as well as shows you how to leverage the Invoke API to connect individual web applications with each other. You’ll also see how easily applications can be centrally managed without needing to access the device. PureFacts Financial Solutions produces one of the leading wealth management solutions, enabling wealth managers to use a single management interface to get a comprehensive view of their clients’ assets. In this article, Steve describes how PureFacts used Ext JS and Sencha Touch to build their apps and achieve more than 50% increase in development speed. The Sencha Professional Services team can help! Using their deep technical skills, the Sencha services team can provide team mentoring, software architecture advice and code reviews, or even custom component development. Let’s say you have built your application, but your SCSS has changed. There is no need to sit through the entire build process again. Instead, why not target the exact part of the build that you need? Oftentimes, users need to use a layout containing Ext.Img instances. The Image’s resources will load after the Ext JS layout of the parent container has run. If a specific height/width is not passed into the component’s configuration, the Image will render after the image has been laid out with the image’s actual dimensions being considered. The Sencha Touch default build location may not always be ideal for every user’s dev environment. Sencha Cmd currently looks for a build destination in multiple locations so changing from the default build location isn’t always simple. That said, config options passed in via command line always win out over file settings. 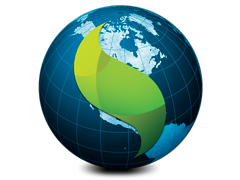 The Sencha Training Experts are on the road to get you on the Fast Track to Ext JS 4 and Sencha Touch 2 development. Create innovative web and mobile user interfaces with hands-on training led by Sencha Certified instructors. See more classes here. Leverage your deep technical and organizational competence to completely redefine how mobile applications are built and deployed in the years ahead. We seek an experienced, entrepreneurial Product Manager to own the product vision and execute product development and go-to-market plans for our latest product offering: Sencha Space. You are receiving this email because you have registered with Sencha. To unsubscribe from all email communication from Sencha, use the following link: Unsubscribe From Sencha.